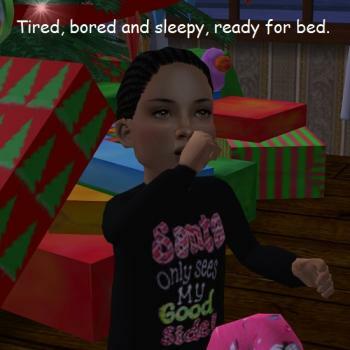 One of my favorite things about Sims 2 is the toddlers. 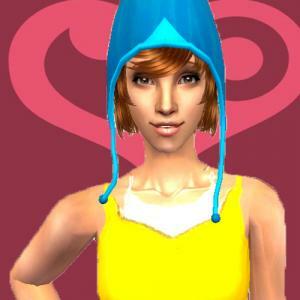 I am so thankful for all of creators and the lovely things that they have shared with the Simming Community. 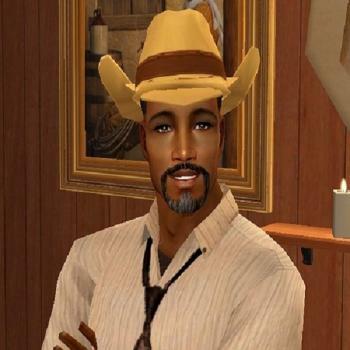 I thank God, the One and Only Matchless Creator for leading me to Sims 2. I am blessed with such remarkable and tolerant friends that I have found here. I know that it looks like I am locked in an Asian mode. What can I say? Sun-Hi doesn't know it but he is not just playing with his food, he is gaining cooking skill with Beck's Toddler Picnic table. taking advantage of his Free Will. Sun-Hi grows up nicely because of his good genes. Give him a good home! Thanks to all the wonderful creators, without their skill and hardwork Sun-Hi would not be possible. Thanks be to God and His direction in my life. 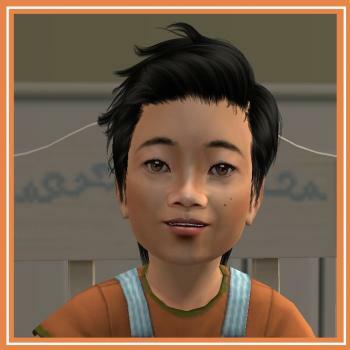 I am thankful for the generous and wonderful creators who made this Sim possible. 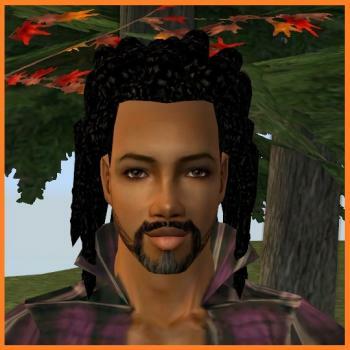 I am so very grateful to my Lord for bringing me to Sims 2 and allowing me to participate here at Affinity. 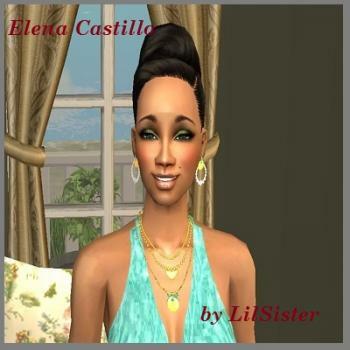 I am pleased and happy to share my latest Sim creation. 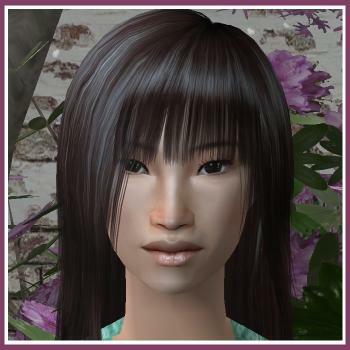 This Sim, Umeki, was awhile in the making but she was great fun. I hope you will enjoy playing her in your game. 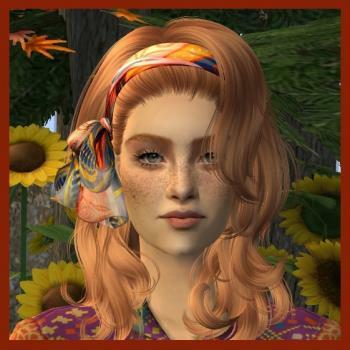 Sarita Ajani - in my game Sarita is a Knowledge Sim who is married with 2 boys. She is very loving and attentive to her husband, and children. She extends the same loving kindness to her very large extended family of in-laws, nieces and nephews. Sarita is most comfortable at home surround by her family and her favorite things. Michelle is kind, funny, smart and enjoys taking care of people. She just finished nursing school and is looking forward to a fresh start in a new home. Michelle is wearing a Rio body shape conversion I made of a Nurse's Uniform that was created by DL Mulsow. Michelle comes packaged as is and all meshes needed are included. with a few Nonni tweaks. It has been so long since I have uploaded anything, I have probably forgotten something. Feel free to ask question or point out errors. Thank you to all CC Creators. Any one call for a 'Tall, Dark and Handsome Hero'? Well, I am sorry but this gentleman has been claimed. 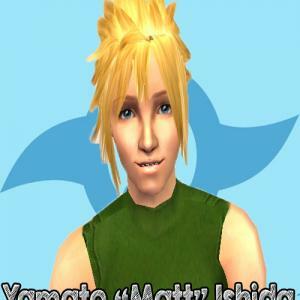 BTW: Matteo is the Italian form of the given name Matthew. 'tinsel' and 'trinkets' that helped make Matteo possible. Thanks to Katu's default face templates. for giving me pleasure in His Purpose. Wandering through the empty house, feeling so lonely. Although this house is the finest place she has lived in, Giovanna still feels abandoned. She adopts an elderly stray cat and names her Pumpkin. Pumpkin almost fills the void in her heart. Giovanna was packaged in a game with all EPs and SPs. Thank you to all the custom content creators who made Amina possible. Here is Fiona, a sweet girl for you. Enjoy! I have all EP's and SP's thru Apartment Life. Please use the clean installer to remove any unwanted content. Do you wish a new sim male in your neighborhood ? Here is Martin, a redhead with freackles. Here is Jodi, my first gift for you all! Kasper is the grandson of the custodian for the church in my Homestead Game. Kasper's mom, Kaylin, is widowed from a brutal despot who died in a mining accident off world. She changed back to her maiden name for herself and her son. His grandfather, Karl Kurator, is a retired business man who wanted his daughter and grandson away from the lifestyle of the wealthy Off Worlders. Although Karl is wealthy he has taken the job of caretaker so that he can serve God in peace. 'tinsel' and 'trinkets' that helped make Kasper possible. As is the case with most hat accessories, there WILL be some bleeding depending on whatever hair you use. Personally, I just ignore this - but you can aim to find any ponytail/bun hair with bangs that will fit with the mesh. I had a bout 3 different hairs to choose from, and the one included caused the least clipping. I'm not too happy that her skirt is pleated, but I was mainly aiming to find a mesh with the right shoes. It's a compromise I was willing to make. I'm not overly happy with the look of Adventure 01, but I'll just blame it on the fact Matt didn't get a stylist (aka, became a baben Rock Star) until Adventure 02. There are only 2 versions uploaded - I couldn't find any good Our War Game reference pics + I don't want to make them in their school uniforms. 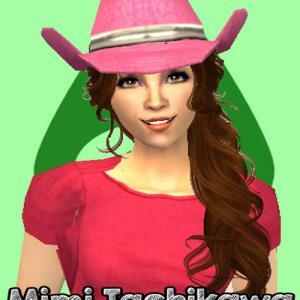 On another note, when I find a teen conversion of the Nightlife goggles, I will make Tai; and I think my next upload will most likely be Mimi. **I legit could not sleep last night because I was so unhappy with the rushed quality. So, I have reuploaded the files with improved quality + closer to the original. 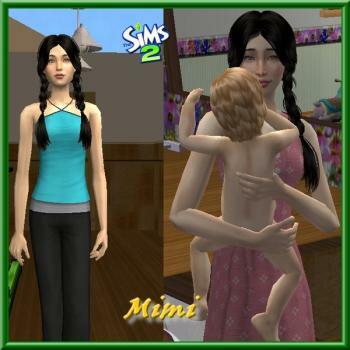 There are 3 versions uploaded, all Teen Female (it just doesn't feel right to make them as children, even though the characters were 11-14 in the series :/). I will most likely make more of the Digidestined (probably Matt/Yamato and Tai/Taichi next) - basically, when I find what I feel is an appropriate and quality mesh, I will make the characters. Haven the Sim is the result of chatting with a lovely lady whose name is really Haven. 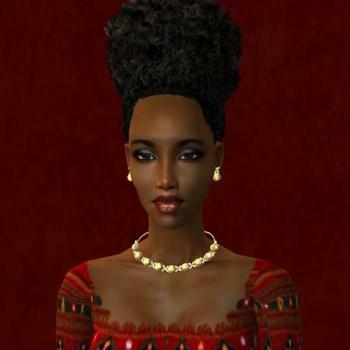 I asked permission to use her name for my next Sim and she said 'go for it'. Her only request was that I send her a link when I completed this project. 'tinsel' and 'trinkets' that helped make Haven possible.